The K Type Velcro Pipe Probe is ideal for the HVAC and the process industry to measure the temperature of medium and large pipes. 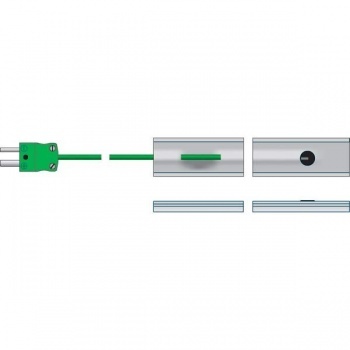 The Velcro pipe probe wraps-around the pipe to securely fix the probe to the pipe the user wishes to measure. This probe is suitable for K type thermometers.